Happy New Year Everyone! 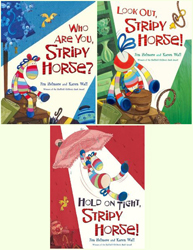 2011 is a big year for Stripy Horse with lots of new things happening, so keep checking back for more updates. 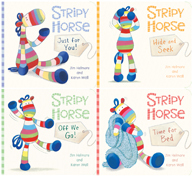 Follow Stripy Horse’s day from a morning stretchy-shake to bedtime cuddles in Stripy Horse, Time for Bed or learn all about colour in Stripy Horse, Just For You. 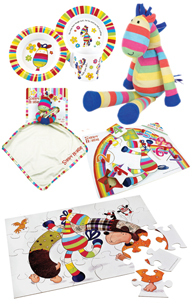 We’ll keep you posted with any more news as soon as we can! 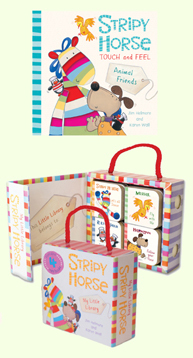 I just got “Time for Bed” out of my local library for my 10-month old Nicholas and I wanted to let you know that I think it’s great! Thanks Rebecca, so glad that you liked the story.